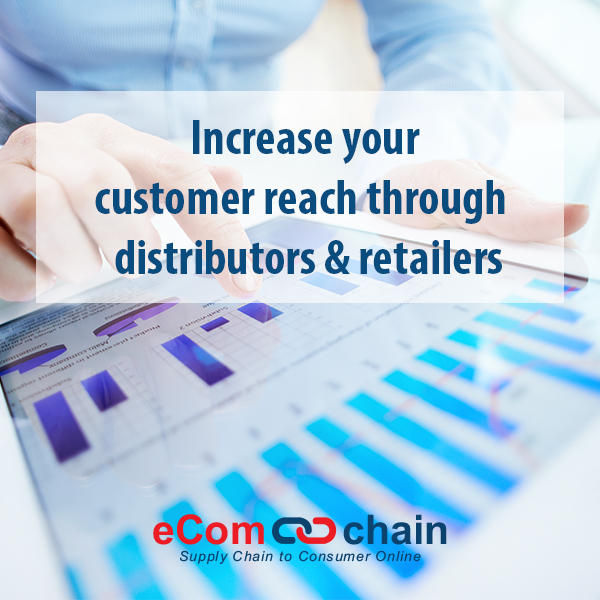 There’s no other eCommerce platform, like eComchain, that connects the entire supply chain starting from manufacturers to the end consumers, where there could be multiple distributors and retailers between the two levels. eComchain, launched early this year, is making waves globally in the eCommerce space with tons of B2B2B2C (that includes manufacturers, distributors and retailers before reaching out to the end consumers) features not offered by many other popular eCommerce solutions. eComchain, the dynamic young offshoot of Dallas based technology leader iBizSoft Inc., has already received rave reviews for the multi-dimensional and scalable online business modules. The Cloud-based AWS hosted scalable eCommerce platforms has partnered with popular payment gateways such as Paytm, Authorize.net, PayU and bunch of others to ensure it has a global reach, along with its multi-language support making it a robust and global platform. Its global reach also ensures a vibrant presence in LATAM, Mid-East and APAC regions. The multi-payment, multi-language and multi-currency support will allow users to expand their reach into hitherto untapped markets that were hard to get into due to language barriers. eComchain is known for its simplified site management with pre-built templates and integrations to various 3rd party services. Now its user friendly interface will allow merchants to toggle between more than 15 different languages on both the end-user facing and administrative interface of their websites. “With its multiple unique features, it already allows for a smooth supply chain integration between businesses, their wholesalers and distributors, making it easy to scale businesses at global levels,” said Sandeep Kuttiyatur, Founder & President of eComchain and iBizSoft Inc. This state of the art B2B2C2C model is managed by multi-tenant features which allow organizations, distributors and resellers a way to create personalized sites for their end consumers. The focus is to help streamline the business processes, so that every organization can easily track the total goods sold, with visibility to the revenue at various levels throughout the supply chain.